"El pianista y compositor suizo Ralph Zurmühle lanza su nuevo álbum, As Time Passes, el primer trabajo después de Reflections, su último disco, que alcanzó el reconocimiento de la crítica especializada y asentó a Ralph como uno de las grandes figuras en la interpretación y composición de música para piano solo contemporáneo. As Time Passes tiene todos los componente reconocibles en el estilo de Ralph. Empieza con la evocadora Nightwalk y va desarrollando la obra con otras piezas de una sutileza y una elegancia exquisitas, envolviéndote en un ambiente intimista, en el cual explora de manera magistral la sonoridad del piano. Sonoridad en la que se pueden apreciar las extraordinarias texturas de Secrets In The Ruins y los sugerentes matices de As Time Passes, el tema que cierra el álbum al que da nombre. El nuevo álbum es música para espolear la imaginación. Con Inspiración, sencillez y elegancia, este soberbio trabajo de Ralph Zurmühle confirma la sólida trayectoria de uno de los máximos exponentes en el mundo del piano solo." "Enormously impressed. I think Track 9, the title track, is now worn out, I have played it so many times !!!" 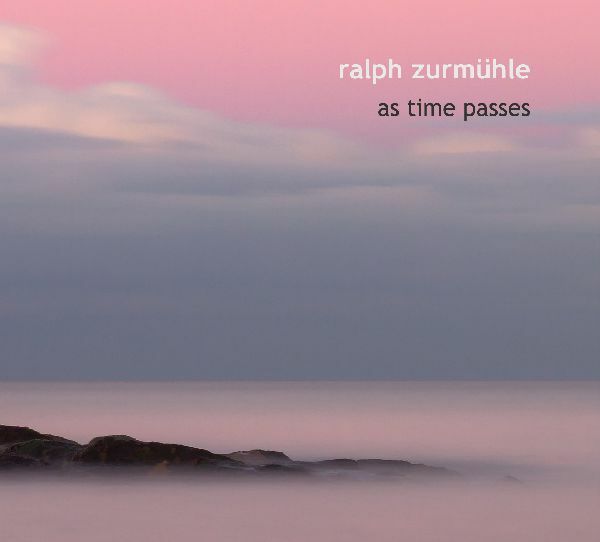 "It has been almost five years since Ralph Zurmuhle released his last album, Reflections, so I was thrilled to learn that he was releasing As Time Passes, his sixth solo piano album, in early 2019. One of the most expressive pianists on the planet, Zurmuhle discovered his natural musical abilities at the age of five and then spent decades studying jazz and classical music in Zurich and Liechtenstein. Currently living in Spain, Zurmuhle has created a personal style that effortlessly blends the intuitive freedom of improvisation with refinement and development, offering the best of both. In addition to his recordings, Zurmuhle has been scoring music for films, television, theater and multimedia projects since 1986. Over the past couple of years, he has performed a series of benefit concerts for Syrian refugees. Dedicated to the memory of Zurmuhle’s mother, As Time Passes is a collection of nine original piano solos that are mostly (but not all) quiet and introspective even as they overflow with a mix of emotions. This is the kind of music that reveals something new every time you listen to it. I have heard the album at least ten times, and each has been an hour of fascination and discovery. Warm, often magical and a true piano masterpiece, As Time Passes will definitely be on my 2019 list of Favorite Albums! The album begins with “Nightwalk,” a haunting piece that makes me think of Erik Satie’s “Gymnopedies.” Slow, spare and utterly profound, you will know from the first couple of phrases that Zurmuhle’s music is in a class of its own. “Watching Clouds With You” is much softer with a dreamy fluidity that moves at the gentle speed of meandering clouds. “Dreaming With Butterflies” is a favorite and clearly demonstrates Zurmuhle’s mastery of the piano. The rapidly-moving left hand suggests the fluttering wings of hundreds of butterflies while supporting a beautifully-uplifting melody that often crosses over to the bass of the piano - piano magic! “Secret In the Ruins” is much darker and more atmospheric - mysterious yet majestic. “Before and After” begins with feelings of wistful reflection, gradually building to a more passionate and dynamic middle section and then returning to a quieter, more subdued closing passage that trails off at the end. The title track is a 16 1/2-minute masterpiece composed in memory of Zurmuhle’s mother. Returning to his open, more minimalistic style, the repeated notes on the left hand are kept to a steady tempo that suggests the passage of time while the right hand expresses a variety of moods and emotions. It’s an amazing piece that brings this excellent album to a calm and peaceful close. If, like me, you have been anxiously awaiting new music from Ralph Zurmuhle, you won’t be disappointed with As Time Passes. If you are new to his music, check it out ASAP! It is available from Amazon, iTunes and CD Baby."